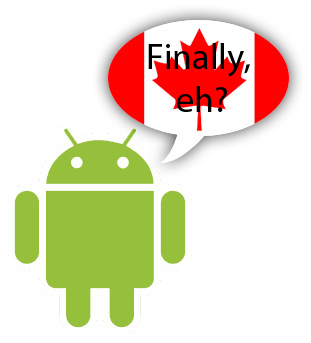 After much patience, Motorola has finally brought Android 2.1 to Canadian Milestone users. The update arrives nearly a month after American and European customers could apply the update, just going to show that sometimes we like to take our time up here in the Great White North. Motorola seems to be forgoing an over-the-air update, as users will have to download a file from Motorola’s site and apply the package from their computers. It’s quite a simple process, but requires your phone to be connected to your computer until the update is applied; it’ll be unable to recieve calls/texts until it’s finished. 4. Connect your phone and follow the instructions. Your phone will have to be restarted twice: once manually (when the installer tells you) and once automatically to apply the final update. Enjoy your pretty wallpapers! I’ve successfully applied and am now enjoying what you guys have been rubbing in my face for weeks. Well worth the wait; now, if only I could figure out how to get my “Enter key to send text message” functionality back, I’ll be happy camper. I’ve been able to customize my home screen with a speculated nine total home screens; how I’ll be able to fill these up, I have no idea. Release notes posted earlier here. Matt Demers is ready to crack some Molsons and watch the NHL playoffs. You can find more of his work on his personal site.